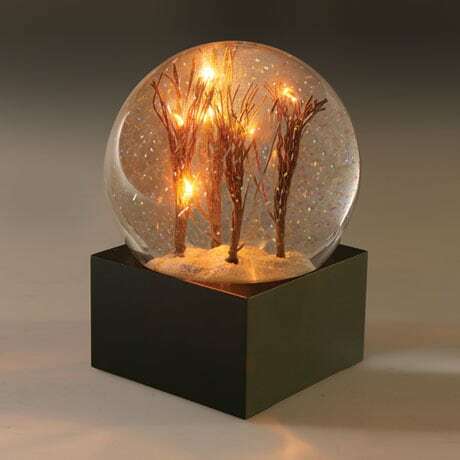 Tiny LED lights glow from the bare branches of four small trees in winter. 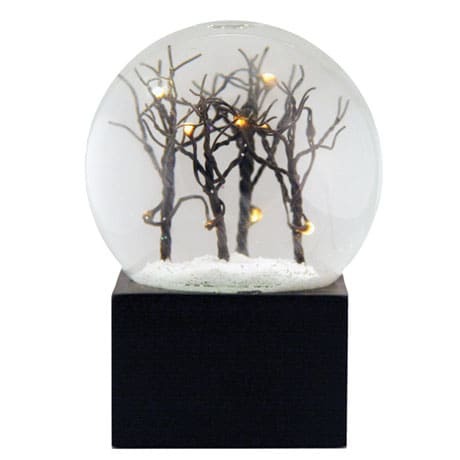 Turn upside down for an enchanting nighttime scene of slowly falling, glittering snow. Glass globe, square black resin base. On-off switch. Takes 3 AAA batteries (not included). 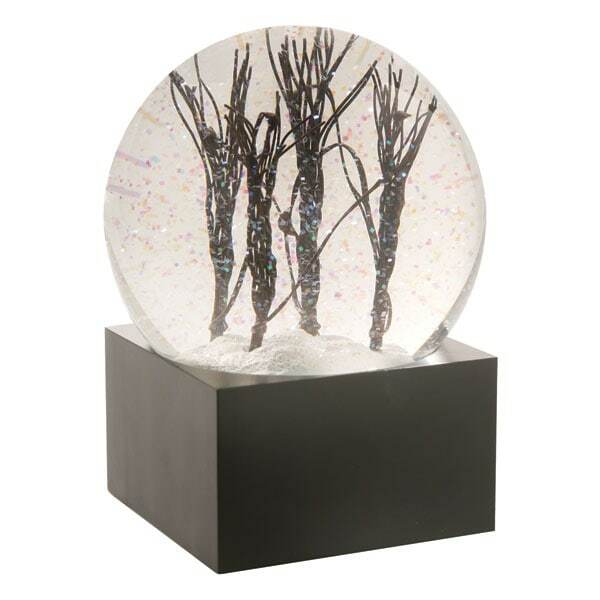 The perfect gift for friends and family in warmer climes who long for snow.